To boast a toast in the name of the achievables! She expects it not to change the day after! Now a torturous heaven not so far anywhere! But how far and how wide she may sustain? The ruthless and pathetic violence she endures to conquer!! Industrialization: Pollution leading to contamination of environment. Deforrestation: Reduction in levels of oxygen content. CFC’s, HFC’s,PFC’s: Depletion of ozone layer. Radiation: Exposure to UV and other harmful radiation. Water level: Rise in level of water due to melting of glaciers. Ecological imbalance: Disruption of life cycle due to pollutants. Increase in toxicants: Leading to acid rains. 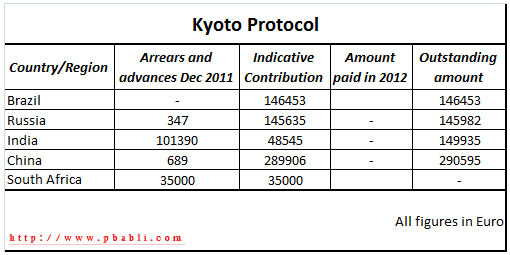 The UNFCCC held the Kyoto Protocol in 1997 to infuse the awareness of rapid global warming and as on date has 195 participating members known as Parties of Convention. It hosts the Conference of Parties (COP), the latest of which COP-17 was held in Durban. The BRICS pledge towards a sustainable, green and accountable environment! Future posts in this blog shall include more on Global Climate change, sustainabilty, Unilateral to Multilateral agencies, More statistics and simple measures to live in a better and safe environment. 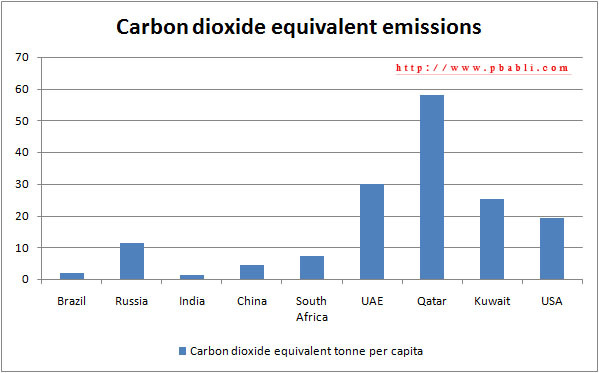 Per capita carbon equivalent emissions as per International Energy Agency. 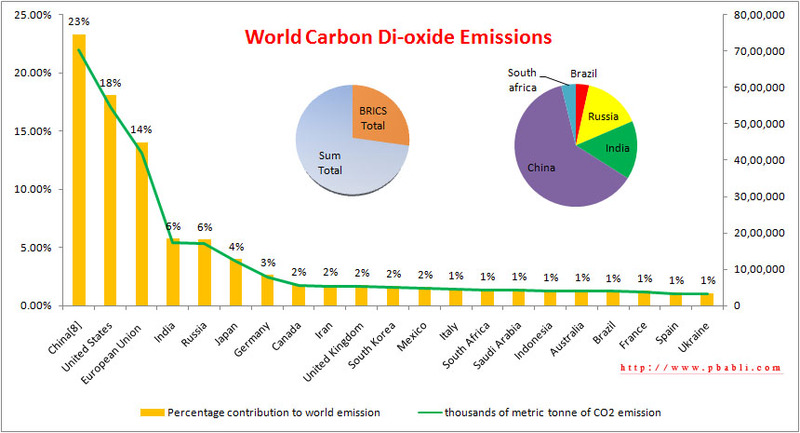 Environment Protection Agency (EPA) USA upon the major contributors to Global green house gas emissions. United Nations Framework Convention on Climate Change. EPA and US Green house gas inventory on the sectors/sources of GHG emissions. The US Energy Information Administration -key statistics on climate change and carbon emissions. Drop your opinion about this post!